Check our review for the current offer! Betfred is an online casino that provides players with unparalleled gaming excellence, from sign up to cashout. Players are privy to an exciting selection of welcome bonuses and recurring promotional offers, and many top-tier casino games. 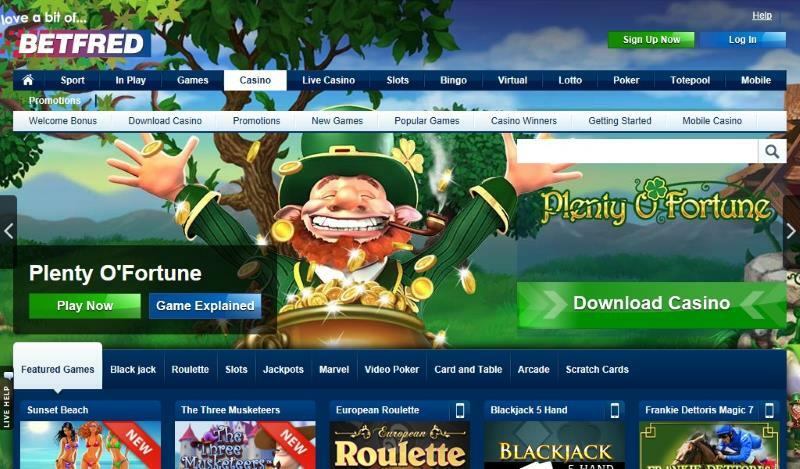 The gaming platform is powered by two of the world’s finest casino games providers – IGT and Playtech. Players can enjoy excellence in all the games that they play, with an option to play full-download games, instant play and mobile games. Betfred is powered by IGT and Playtech software. New players receive 50 free spins on a first deposit and stake of £10 or more*. *New Casino customers only. £10 Minimum transfer. £10 Minimum stakes within 7 days. Minimum 5 game rounds. Game restrictions apply. Maximum 50 Free Spins on selected games. Free Spins expire after 7 days. Full T&Cs apply. Existing players can enjoy new games promotions, a high roller bonus, a loyalty program and a VIP program. Betfred supports the following banking methods: Bank Transfer, Maestro, Neteller, PayPal, Skrill, Ukash and Visa for a multitude of currencies. There is no withdrawal limit. The casino is in English and the helpdesk is available 24/7 by chat, email and phone. Due to legal restrictions only residents from Gibraltar, Ireland and the UK are allowed to play.